NYC, 02/16/2019, 2:00PM. 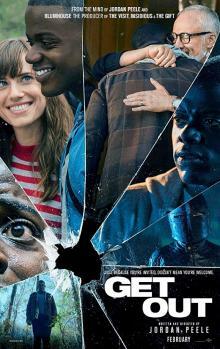 Get Out (2017): Oscar winning horror movie on a disturbing secret. 104 min. Director: Jordan Peele. Starring Daniel Kaluuya, Allison Williams, Bradley Whitford. At the 90th Academy Awards, it was nominated for four awards, including Best Picture, and won for Best Original Screenplay. The film was chosen by the National Board of Review, the American Film Institute and Time as one of the top 10 films of the year. It grossed $255 million worldwide on a $4.5 million budget, with a net profit of $124 million, making it the tenth most profitable film of 2017.